With its true-to-life stories of possessed persons and haunted houses, the book "Exorcism: Encounters with the Paranormal and the Occult" is one book which you can’t put down after reading a few pages. But unlike the typical novels on ghosts, vampires, and haunted houses, this book is wholly credible since it is written by Fr. Jose Francisco C. Syquia, Director of the Archdiocese of Manila Office of Exorcism. 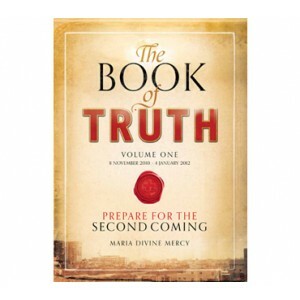 While truly fascinating, it is therefore also written within the framework of Catholic doctrine. I read the book several years ago but buried it in the bookshelves. Until one day last February when we suspected that my son’s family was the target of diabolical attacks. My comfort zone was shattered. Seeing that my beloved grandson (the eldest), Juan Lorenzo, was the focus, I was deeply disturbed and affected. What would a grandmother do? I took on my spiritual “battle gear”: prayed much, offered sacrifices to the Lord – and took out Fr. Syquia’s book for guidance. Since my son was determined to write about his experiences and expose the devil’s tactics, I thought I should write on Fr. Syquia’s book as a framework for the story. In doing so, I realized I would be inviting diabolical attacks. 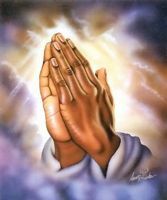 But when you are in the Lord’s service, you simply go ahead when you feel deep in your heart that He is prodding you on. So, while this little summary of Fr. Syquia’s book is a very poor substitute for actually reading his book, I hope it makes you more aware of the devil and his active presence in the world today. Who are these evil ones? As Fr. Syquia explains, they are fallen angels who fell into the sin of pride and were thrown down from heaven by St. Michael and the heavenly hosts. They hate God and their battleground is earth where they wage battle with God’s angels for the souls of men. With regard to diabolical attacks on a person, Fr. Syquia reveals there are three types. The first and most popular, possession, is a “state wherein demons take full control of the body (not the soul) of a person.” There are two other lesser stages of demonic bondages, however: obsession and oppression. Obsession is characterized by uncontrollable negative and evil thoughts popping up in a person’s mind. The extreme stage is when there are suicidal thoughts already. Oppression is more severe than obsession. Here, there are burdens or afflictions tormenting a person, and he/she may experience physical pains, mental confusion, psychological illnesses, depression, horrifying visions, and diabolical nightmares. “Grave oppression” is similar to possession but the devil’s control over the victim is not total. Fr. Syquia lists down possible ways by which the devil could affect a household or family. Examples are: through sicknesses like heart attacks,headaches and stomach aches; division within the family; emotional and psychological illnesses like anger and depression; temptations; weakening faith in God; and failures in business and other endeavours. In the exorcism story of my grandson Juanlo the devil manifested himself through the bruise marks on the little boy’s neck which could not be explained. The occult influence in the New Age can easily be detected by checking the titles of their books. There are manuals of witchcraft, channelling and divination....The young are drawn to it due to movies like “Harry Potter” and “The Craft”, video games like “Dungeons and Dragons” or television shows like “Charmed”. Even children are not safe. For our guidance, Fr. Syquia enumerates the different practices and instruments of the New Age Movement which Catholics should avoid. Here are some: aura work, automatic handwriting, amulets, channelling, crystal healing, crystal balls, fortune-telling, out-of-body work, psychic healing, Silva mind control, soul travel, Ouija board, spirit of the glass, spirit guides, transcendental meditation, séances, tarot cards, trance work and Wicca (witchcraft). On the other hand, in another book, “Exorcist: A Spiritual Journey”, Fr. 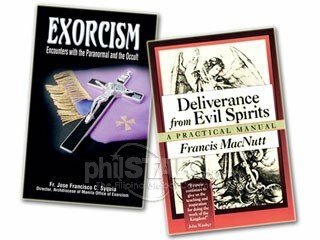 Syquia defines deliverance ministers as “priests, religious, or lay persons with the charism of deliverance...they use deliverance prayers (not the Roman Ritual of Exorcism) to expel evil spirits from the demonically obsessed and oppressed...” Using deliverance prayers is known as private exorcism. Considering that priest-exorcists are very rare, it is a consolation to realize that we can approach prayer groups or church groups for deliverance prayers, or even say the deliverance prayers or prayers for protection on our own (text me at +639178121362 if you want a copy). As to our paraphernalia in spiritual warfare, here are some listed by Fr. Syquia: holy water, exorcized salt, blessed religious medals (especially the St. Benedict medal), the Scapular and Miraculous Medal of Our Lady, the Rosary, blessed candles, and a manual of deliverance prayers. The Blessed Mother is especially very powerful. In his book, Fr. Syquia narrates a story wherein he credits the Blessed Mother for saving him in a very difficult exorcism (he landed in the hospital). Another thing which Fr. Syquia emphasizes also is that the Christian must be in a state of sanctifying grace. He adds that the Mass with Holy Communion is still and will always be the most potent weapon against the demon. Thus, when besieged, a Christian should strive to attend Mass frequently. In this book of “horror stories”, my favorite chapter is the one entitled “Only Jesus and Always Jesus”. Fr. Syquia says that while at the onset, one’s focus is on the devil, as time goes by, the exorcist or deliverance minister realizes how infinitely more powerful God is and – “that God is always fighting with and through him and would never abandon him.” He stresses the utmost importance of a “continual growth towards holiness.” Indeed, when you feel you are besieged by the devil, you have no recourse but to turn to God. While I have given the title “Confronting the Devil” to this article, it should be explained further. By ourselves, we cannot and should not “confront the devil”. The fallen angels are definitely more superior to us. It is always “in the name of Jesus” that we fight them. Thus, our victory is always the victory of the Lord Jesus. He is our strength , our protector. Blessed be Jesus and blessed be His holy name! Click here to return from Exorcism to Catholic Spirituality.